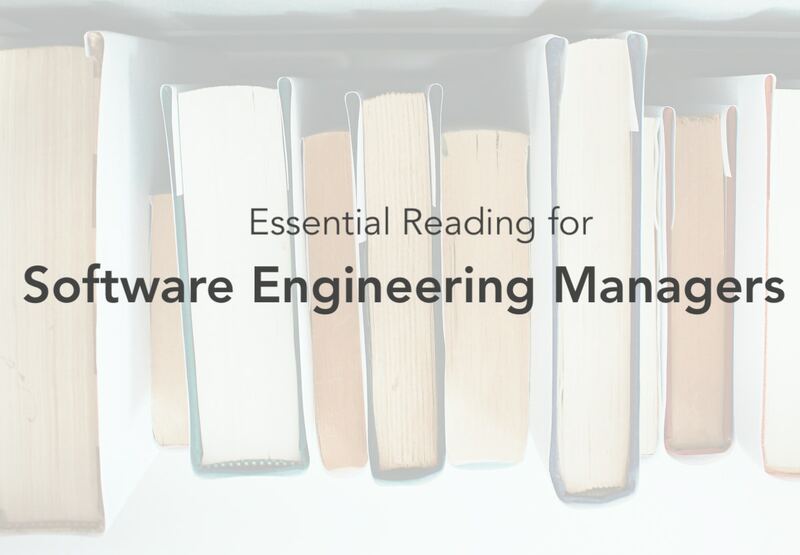 Software engineering management is an evolving field with a growing body of knowledge, and thousands of books are available on the topic. I started reading more a few years ago, so as 2019 gets started, I thought I would take a look at some of the best software management books available. Most of these are pretty popular in the field, but some are a bit non-traditional, so bear with me. Scroll to the bottom if you want to suggest your own favorites as well. The books in this category have been around at least 10 years, and are frequently passed around as classic tomes of management. While newer books are worth reading too, I think it’s healthy to start with the works that have withstood the test of time. The nice thing about software is that it is predictable. Computers do what you expect them to every single time, but figuring out how to make people work together is a lifelong exercise. 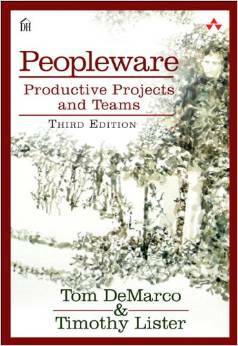 Despite being over 30 years old now, Peopleware has helped me on my journey to figuring that out. I wrote a more detailed review of Peopleware back in 2015. Click here to read it. This book completely changed by outlook on productivity when I first read it. It’s tempting to think that by firing on all cylinders at all times, you can push an engineering team to produce more, but The Goal teaches managers that it’s really all about finding and eliminating bottlenecks. Written in a time when programming was done on punch cards, The Mythical Man-Month holds up surprisingly well. No matter what tools we have available, software engineering is a complex discipline, and managing software engineers requires an understanding of those challenges. A lot of engineers don’t like to hear this, but once you move into management, networking and navigating company politics are part of the job. 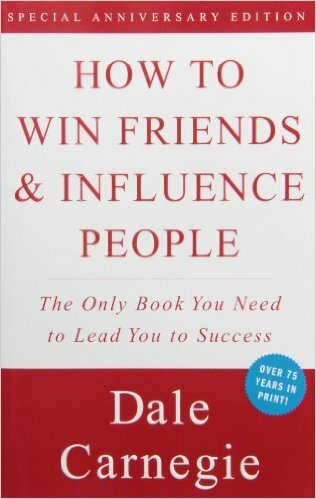 Before reading How to Win Friends, I didn’t think about things like remembering peoples’ names, keeping in touch with old contacts, or becoming an influencer in the field. If you struggle with this part of management, read this classic. Written in the past 10 years, I can’t promise these books will all stand the test of time, but in 2019, they’re well worth reading. Inspired by The Goal, Phoenix Project takes a similar fast-paced, exciting story and puts in into a software delivery context. If you just read one of these two books, start with The Goal, but if you like that one, you’ll enjoy Phoenix Project as well. My big takeaway from Tyler’s book was that great teams are made, not bought. In other words, you can’t hope to always recruit the best of the best, so you need to have a plan in place to make average engineers successful. While I don’t like the idea of calling employees “Rockstars”, I was surprised by how much I enjoyed Hyman’s book. Instead of focusing on flashy marketing or expensive contingency recruiters, Hyman encourages managers to have a very specific wishlist (I call it my hiring rubric), and consistent process for recruiting, interviewing, and onboarding new team members. Once you build a team, your job as manager becomes motivating and directing them, but employees aren’t the same as they were 30 years ago. Today’s Millenial engineers want purpose, autonomy, and flexibility. 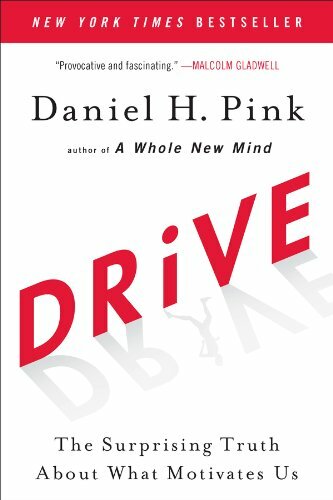 If you’re a more traditional thinker who wants employees to do what you say, “just because” then you need to read Pink’s book. Once you leave the role of “software engineer,” and step into management, your job is to empower your team to make the best decisions possible. You can’t possibly make every important (and unimportant) decision, but if you think about how you can empower your team members to make the call on their own, you can amplify your effectiveness. The Decision Maker shows you exactly how this can work through several short vignettes at an imaginary company. Kanban is one of the most valuable tools for agile project management. Once you’re a manager, your job becomes reporting on progress of projects you may no longer be directly involved in, so you need tools like Kanban to visualize your team’s progress. This book goes beyond the theory and gives you lots of real-world examples of Kanban in the field. The most popular agile framework is Scrum, and while there are many ways to do it, Essential Scrum delivers a strong guide for how to do it well. I believe that managing engineers at a startup is a related, but different skill than doing so at in an enterprise environment. The stakes are different, the resources are tighter, and the company may change direction completely in just a few short months. With those challenges in mind, I thought it was worth putting these books into a category of their own. This remains my top recommendation for new startup product and engineering managers. 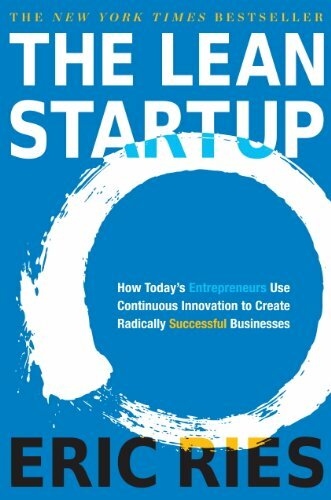 While the book isn’t necessarily for startups only, it’s a lot easier to implement short feedback cylces when your whole company can fit in a single room. Founders and managers in startups should understand the difference between being “technicians” and “managers”. This can be especially challenging for talented engineers who see direct value from the code they write, but struggle to understand what managers are supposed to contribute. Why a manager should consider doing management work. How a manager should put together his team. The important things to consider when interacting with engineers. How to hire top engineers for your startup. How to pick engineering leaders. How to define processes and when don’t you need them. I think working at a startup is totally worth it, but you should read the case against them too. In Disrupted, Dan Lyons recounts his experience at Hubspot as they hacked and sputtered their way to relative success. Lyons is a cynic, but hilariously so. Where Disrupted is funny, but mostly harmless, Bad Blood tells the story of Theranos, a medical device startup that deceived investors and the public with impossible claims. As engineers, we have a moral obligation to stand up and speak out when our technology is being misrepresented, and in Theranos’ case, that didn’t happen. Career development is a never-ending journey. Good managers are constantly developing their skills and those of their employees, so I think it’s important While Most of these were really good books, but they just don’t relate quite as directly to engineering management. Still worth looking into if you’re interested in software engineering, startups, leadership, and other related topics. As a knowledge worker, you must spend time thinking, but most managers fill their day with back-to-back meetings. 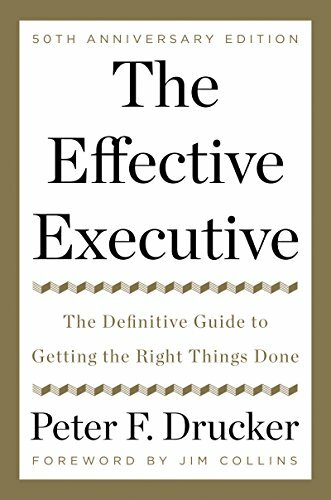 The Effective Executive shows you how to block out time in your week for the important work of thinking and prioritizing things. The ability to do this will make you much better as both an engineer and manager. This book inspired me to spend one day per month with no screens last year. Time without stimulation allows you to get board and your brain to wander. I found myself making higher level plans, organizing problems in my head, and having a lot of “ah-ha” moments, so I highly recommend this practice. Bored and Brilliant explains why it works and gives you lots of ways you can unlock this boredom as well. As managers, we must care about the long-term success of our projects. This book has stories of a few dozen open source projects , allowing you to hear about the challenges and architectural decisions that they faced as they evolved. You can’t get this level of transparency from most enterprise applications, so for new software architects, this book is gold. People in our generation are unlikely to work for just one company their whole life. Job hunting is a valuable skill, and you have to practice and learn about it to keep it fresh. Even if you like your job, it’s not a bad idea to take a couple interviews every year just to be aware of what it’s like. Adams created the Dilbert comic strip, but his story of being a hapless rebel and entrepreneur is fascinating. Despite many failed attempts, he kept moving forward, and imparts some of the wisdom he gained in this semi-autobiographical book. If you didn’t read these books as a software engineer, go back and read them now. Clean Architecture is great for higher level project thinking, and the rest of them are great books to recommend to your engineering team. I always give my employees a copy of Clean Code on their first day. One of the most powerful tools for organization is the humble checklist. Gwande makes a well-researched case for using checklists in everyday life as well as in high-criticality situations like healthcare and aviation. If you have other books that I should put on my reading list, let me hear about them on Twitter. I love getting recommendations!